Apis Cor, a San Francisco-based startup has brought an affordable solution to build new houses. The company can 3D prints concrete walls of the house in under 24 hours. The house was located in Russia and was built in 400 square foot. What's more, the total cost of building the house was just over $10,134. 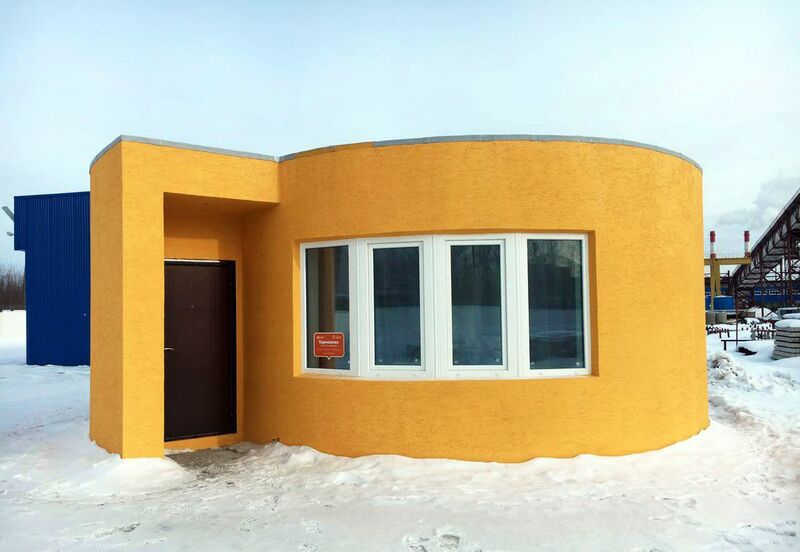 3D printing of houses involve creating the parts offsite and the components are assembled on the site. This is where Apis Cor differs, where it 3D prints the houses on site using a mobile printer. The machine 3D printed main components of the building such as walls, partitions and building envelope using the concrete mixture. After the completion of printing, the printer is removed and followed by the installation of insulation, windows, appliances and roof. A shiny coat of paint was added to the exterior of the house. The house consisted of a hallway, bathroom, living room and kitchen. The company claims that the house can last up to a period of 175 years. He further added "Our goal is to become the biggest international construction company to solve problems of accommodation around the globe." According to the company, these quickly built houses will be helpful to the people affected by natural disasters. It will also be useful for those looking to build affordable houses in less time, as there have been the cases of shortage of technology workers in recent years.